So you want to get Barbaric? 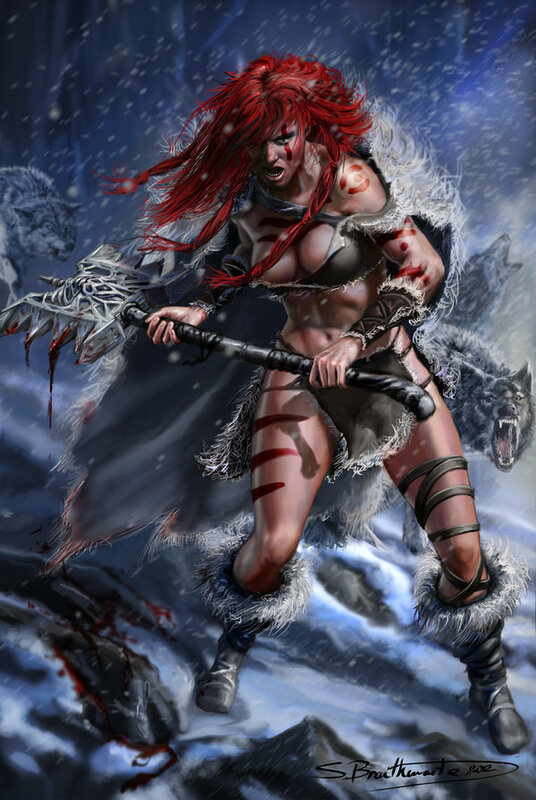 The classic Barbarian is featured in all kinds of media as a skilled warrior, under clothed and strong as an ox. 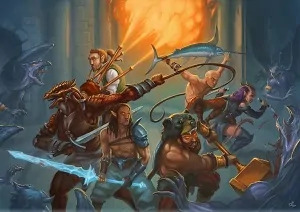 The Barbarian Class has been around since 3.x version of Dungeons & Dragons and nodded to in a number of Prestige Classes. 5th Edition manages manages to reinvent the Barbarian warrior somewhat. By and large, that’s a good thing. Melee combat is your Haunch and Yak Butter. The Barbarian has a solid front-line role it can play in the party. It has a more linear power curve than other classes, and lacks some of the build versatility shown with others (though the new sub-classes can add some variety). While this 5E Barbarian charop guide is aimed at giving some mechanical advice, remember that character optimisation means different things to different players. I like to look at more than just damage dice, as a truly effective character is more than the notches on its axe. This guide builds on those that have come before it and adds new sub-classes from Xanathar’s Guide to Everything. The first step to a becoming a great Barbarian is knowing what you are and what you aren’t. The Barbarian is not a Fighter. Where the Fighter is versatile, sharp and precise; the Barbarian is raw, blunt and a force of nature. As a Barbarian you’ll be playing an incredible game of Risk vs Reward. At it’s core, the Barbarian has a ton of built in survivability. With the highest hit dice in the game, baked in resistances, advantage versus a ton of effects and the ability to stay fighting even after dropping to 0, the Barbarian is amongst the best of the best when it comes to staying alive in melee. But, the Barbarian has the ability to trade in some of that defence for some instant offence. It’s not always the ‘optimal’ choice, but it can be a brutal addition when it’s triggered. 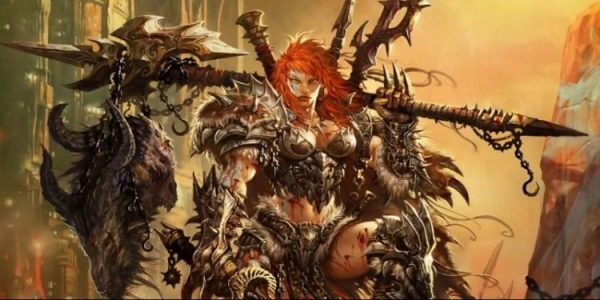 Unlike melee classes like the Fighter, Paladin or Ranger, the Barbarian has a narrow focus of specific stats it needs to have. There is no strong Dex based option here. You need Str. No ifs, ands or buts. You also need Con. But… Wait… You also need Dex. Yup, the Barbarian is fairly on the MAD side. Sky Blue = Top of the line choice. Barbarian optimisation starts here. Note: I tend to be more “middle ground” in terms of ratings. I find fewer things “absolutely terrible”, but at the same time, find fewer things “absolutely incredible”. Str: Your offensive output is tied to your Strength score with nearly half of your class features tied to this ability. Dex: Not your main focus, but good to have. You may not be bumping this past a +2 modifier, but getting a bit of juice in there will make your life easier. Int: Classic Barbarian dump stat. It hurts your Int saves, but there are ways around that. Wis: 3 of your class skills are tied to it, and one of those is Perception. A “nice to have” stat. Cha: Intimidation is based off of it, but not much else *unless* you go Path of the Berserker. Half-Orc [+2 Str, +1 Con] The classic Barbarian choice. You get the Intimidation Skill, and the racial bonus to the stats are perfect, with bonus to Strength & Constitution. Darkvision remains a great choice. Savage Attacks with a great axe is super strong starting off at the start. All in all a great choice for an offensively minded Barbarian. Relentless Endurance is a cool feature, but the Barbarian class does get something similar at level 11: Relentless Rage, but can be used only if you are raging, it’s not automatic & you get to do more than once. 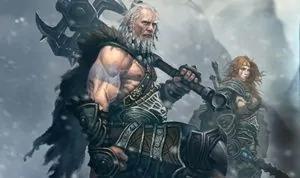 Goliath [+2 Str and +1 Con] Ability scores are practically tailor-made for the barbarian, the free Athletics skill ensures easy grappling, and Stone’s Endurance makes an already durable character fiendishly difficult to kill. 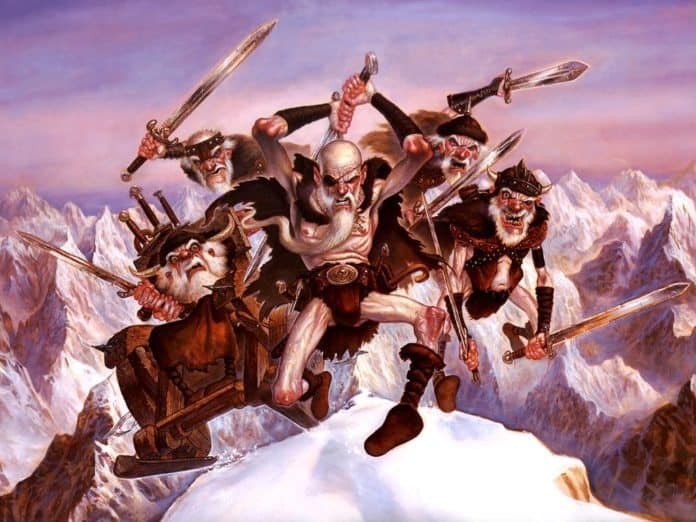 However, Stone’s Endurance will compete for other reaction options, so these guys are a step below the Half-Orc. Aarakocra [+2 Dex] The ability score bonuses are okay, as +2 Dex helps with AC and potentially weapon usage, but what really makes these guys silly is their 50ft fly speed. Combine that with a polearm for reach and barbarian durability, and you have a character that likely just won’t ever die. The +1 Wis helps ensure this, as well, bolstering a fairly commonly attacked save. 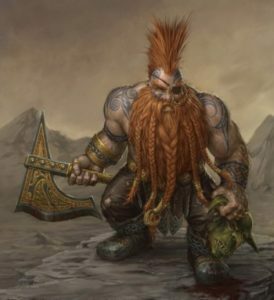 Dwarf: [+2 Con] This is a strong choice for a Barbarian but the weapon racial adders seem to be wasted. Mountain Dwarf [+2 Str] gives very strong +2 bonus to Strength that is perfect for a martial class. Hill Dwarf [+1 Wis] is good with the hitpoint increase which helps with damage resistance tanking, but the loss of a +2 Strength for a +1 Wisdom bonus hurts. Halfling [+2 Dex] An increase in Dexterity like the Elf, but you also get the Lucky Racial feature. I love playing a Halfling, the down side is being a small slow creature that gets disadvantage with the typical Barbarian weapons. I would dip a few levels of Rogue to take advantage of Sneak Attacks with finesse weapons (you can still use Strength with those). Stout Halfling [+1 Con] is the better choice of the two base subraces. Lightfoot Halflings[+1 Cha] being much lower that the Stout. Dragonborn [+2 Str, +1 Cha] Strength is great, but the Charisma bonus is not needed. The benefits you get though are pretty decent. Resistance to an additional damage type is always welcome but is wasted at higher levels. You do get an Area of Effect Attack AoE attack that uses one of the Barbarian’s secondary ability scores (Constitution) for the DC. The Dragonborn makes for a great Barbarian with a magic trick up his sleeve. Half-Elf [+2 Cha, and +1 to Str/Con] On the surface the Half-Elf makes for a somewhat “meh” Barbarian. The bonus to Cha is not the most useful. However, it does have some other nice perks to go along with it. Darkvision, Fey Ancestry and two extra skills are actually nice perks. It makes for a slightly atypical Barbarian, but it isn’t mechanically terrible. Half-Elf Variants [+2 Cha, and +1 to Str/Con] Reducing Skills for flavor. I don’t think it’s good for a Barbarian. High Elf [+1 Int] gets a double nope. Human [+1 to All scores], The typical Human isn’t the best fit for a Barbarian. There is a lack of racial ability benefits that the other races. Variant Human [+1 to Str and Con and a feat] If Human Variant is allowed, that’s a whole different story. That turns the Human into one of the best choices for a Barbarian, from one of the worst. Slightly behind the Half-Orc, and even with the Dragonborn. Forest Gnome [+1 Dex], the bonus to dexterity is okay, and the speaking with animals is not needed with the Barbarian. Rock Gnome [+ 1 Con]. I just don’t see it, so Pass! Tiefling [+1 Int and +2 Cha] If there was one race that is just flat out bad for the Barbarian in almost every way, it’s the Tiefling. Sadly, the stats don’t line up at all, and the spell casting ability loses a lot of its power since you can’t cast whilst Raging. Resistance to fire is nice, but you can grab that with the Dragonborn and come out with better stats and a nicer perk ability. Kobold [+2 Dex & -2 Str] Some interesting ideas here, but the cost is too high. Rage: Your primary mechanic. Your bread and butter. The apple of your eye. Rage, in this edition, is something that really defines the Barbarian. It is equal parts offence and defence, and is what gives you a leg up when compared to other melee classes. It isn’t tricky, it isn’t subtle, it isn’t flashy. It’s just a solid way of being dominant in melee. No heavy armour allowed. Rage won’t work with anything bigger than medium armour. The damage bonus only applies to attacks using Str. No Dex based finesse Raging. Melee weapons only. You can swing your hand axe and get the damage bonus, but you lose that bonus if you throw it. You can’t cast spells whilst Raging, nor can you keep up concentration on spells already in play. The ugly part of Raging is that you don’t get your Rages back after a short rest. You need a long rest to regain your uses. This makes you carefully consider when you’ll use these bad boys. The flashiest part of Rage is the damage bonus. More numbers is always good. More damage means more deader enemies. But the real benefit is the resistance to 3 different damage types. This is especially true at low level. This resistance is what lets the Barbarian stay in melee longer than most other classes, and be less afraid when exchanging hits with the bad guys. Reckless Attack: You allow your attackers to hit you with advantage, but so what? This doesn’t take an action to perform, and if they get a hit on you, the damage is halved when you are Raging. Might be a good reason to multi-class with Rogue to get automatic Sneak Attacks with finesse weapons. Danger Sense: You have advantage on Dexterity saving throws against effects that you can see, such as traps or spells. Dexterity saves are very common, pair this up with Resilient Feat, and this class feature becomes sky blue. Primal Path: I’ll go into these more further down. At 3rd level, you choose a path that shapes the nature of your rage. Your choice grants you features at 3rd level, and again at 6th, 10th, and 14th levels. When you reach 4th level, and again at 8th, 12th, 16th and 19th level, you can increase one ability score of your choice by 2, or you can increase two ability scores of your choice by 1. Nothing out of the ordinary here. Given how stat intensive the Barbarian is, it’s a bit more of a decision when it comes to stat vs feat. Extra Attack: In line with classes like the Paladin and Ranger, and behind what the Fighter gets. Barbarians need to make the most of their attacks and with their Action resources. Fast Movement: Another reason (as if we needed one) to stay out of Heavy Armor. Move speed increases are nice to have, but take some careful thought to truly take advantage of. Feral Instinct: Moving first is great, especially for the Barbarian. You have the chance to dive in and do some serious damage, and then try and keep enemy attention locked on you and your superior level of hit points. Plan ahead with your party, and you will be able to setup some pretty cool and effective combos. Brutal Critical: This is where crit fishing may start to become interesting for you. Looking for ways to increase your crit range (3 levels of Fighter, for example) may be interesting. Note that the Half-Orc has a similar ability, which stacks with this, making crits even more dangerous. Relentless Rage: Again an element of Risk vs Reward. Being able to keep on fighting despite hitting 0 or fewer hit points can be amazing. That being said, it’s also an excellent opportunity for the enemy to have another shot at killing you outright. Persistent Rage: This ability keeps you Raging even when an effect could stop you. Without it, you drop out of Rage on any turn where you do not attack, or do not take damage. Considering the smattering of spells and other effects that can lead to this, Persistent Rage becomes a welcome addition to an otherwsie somewhat clunky mechanic. Indomitable Might: Strength is your primary ability and you have Advantage on checks with it whilst Raging. This ability is nice as it helps eliminate terrible rolls, it just feels out of place for an 18th level ability. Primal Champion: This is icing on the cake. Right now, getting stats above 20 is really, really hard. The ability to get both Str and Con past that threshold is really nice. Of course, it’s a capstone ability, so it should be pretty darn impressive. Right Ranger? 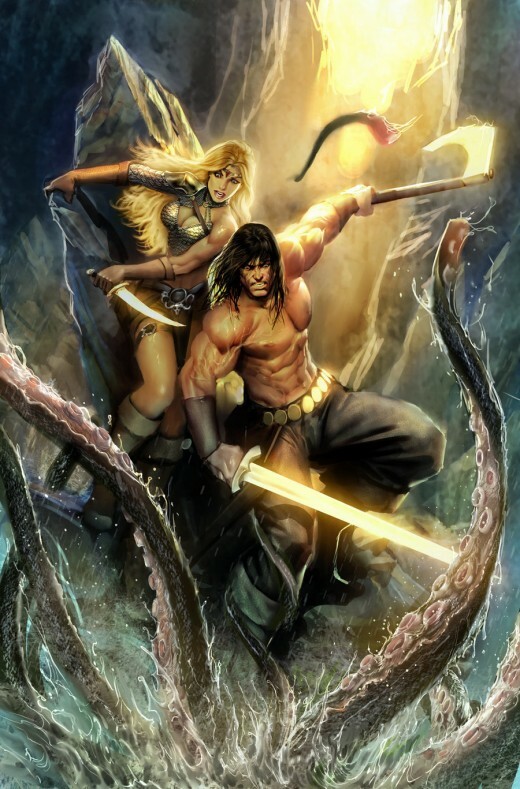 The Barbarian has access to 2 subclasses in the PHB, but with the addition of Xanathar’s Guide to Everything and Sword Coast Adventurers Guide adds some more options. These paths offer some pretty different flavour, and help flesh out the Barbarian in different ways. This is for the “in yo’ face” style of Barbarian. You can do more damage and stick around in melee more, with a strong emphasis on “Risk vs Reward”. This sub-class has little in the way of flash, but a lot in the way of oomph. Frenzy: Risk vs Reward taken to the extreme. You gain another attack as a bonus action whilst raging (carefully note that this makes the ability pretty incompatible with TWF Barbarians). Mindless Rage: A solid ability as being charmed whilst Raging can be a terrifying prospect for your teammates. Intimidating Presence: This is a fun ability that has a ton of flavour and fits the Barbarian very well. Why, oh why does it use Cha for the DC? Considering that this is likely your second to worst stat, it’s just a terrible fit. Retaliation: This is just great. Unless you’ve kitted yourself to use your Reaction every round, odds are it’s going to be reserved for people silly enough to move around you. This gives you a nice source of damage outside of your normal action resources. This path is a little more utility based, and a little more directed to enhancing your party and your role within it. It has much less “Risk vs Reward”, and is a more stable option that the Berserker. You lose out on the higher damage in order to gain some more choices and some more flexibility. Spirit Seeker: This is just so oddly specific that it comes off as more of a flavour/fluff ability than anything else. It has its uses, absolutely, but there’s a fair chance that another party member has this particular type of role already shored up. Totem Spirit– 3rd Level You get a choice of now FIVE animals here. They don’t have to be the same one at each progression. Bear – This makes you even tankier, which is great. Resistance to everything except Psychic damage can actually help turn a difficult battle around. Eagle – This is a fun mobility option that can be an interesting choice if your Barbarian plays against type a little bit. This isn’t the strongest choice if you have Rogues and Monks in your party that take better benefit of you standing still, but can be great for a party of a different composition. Wolf – This is the teamwork option. Allies gaining advantage is always a good thing. Advantage isn’t the hardest thing in the world to gain, but having it be always on for any enemy within 5’ of the Barbarian can be brutal with the right party makeup. Bear – Given your natural inclination to have a through the roof Strength, and having advantage on Strength checks whilst Raging, this actually seems rather lackluster. Not useless, but a little too situational. Eagle – On the one hand, the increased sight is very, very situational. On the other hand, not having disadvantage on Perception checks due to dim light is really, really good. Wolf Again, very situational, but also useful to have when you need it. This really depends on the party makeup and the type of adventure you are on. Spirit Walker – 10th Level More flavor and allows the DM to bring out a Bear to talk with you. Neat! Eagle – A good way to hit flying creatures. Wolf – You will sacrifice damage for utility. This is fun simply because there is no save. If you hit the enemy, then they go prone. The one thing holding this back is that there is a Dwarf restriction. That’s mostly a hold-over from the novels so your DM may waive the restriction. Battlerager starts off not so great, but with Reckless Abandon, it gets supercharged! Battlerager Armor 3rd Level – Not much going for this. you get maxed out at 16 AC but you get a bonus action to hit a creature for 1d4 piercing damage. Seems like a waste. Reckless Abandon 6th Level – Temporary hit points which will make you a super tank. Very Beefy. Battlerager Charge 10th level – Dash action as a bonus so you can chase down prey. Not bad. Spiked Retribution 14th level – Automatic damage against anyone hitting you. You can take on the hoards! For the barbarian that wants to protect their friends. Path of the Ancestral Guardian is all about encouraging enemies to focus on you. It’s an interesting theme but there’s not much here. Ancestral Protectors 3rd Level – Similar to the defenders mark ability in 4th edition.A great way to protect your friends. Interestingly it marks the first target you hit not the last. So if your attack kills a creature and you use a second attack on another… you’ve wasted this feature. Spirit Shield 6th Level – Not quite as good as the Lore Bard’s Cutting words at reducing big attacks. A decent scaling amount of damage you can prevent every turn though. Does use your reaction so you’ll be doing less damage. Consult the Spirits 10th Level – Isn’t this what Clerics are for? Not quite what I’m after for a 10th level ability. Typical Barbarian behaviour is to rush in without scouting first. Vengeful Ancestors – 14th Level – This is a bit better, guaranteed damage along with reducing damage for allies. Force damage is often not resisted either. By the time you get this Spirit Shield is 4d6 too. For the Barbarian who wants to get in the thick of things. The Storm Herald Barbarian wants to be as close to the enemy as possible, the Auras are only helpful up close. Storm Aura 3rd Level – You can swap your aura each time you level which is okay. The range is decent and it eats your bonus action to keep triggering these abilities while raging. If your campaign is expected to take place in any of these three environments they are rated better. You can change your environment choice whenever you gain a level in this class. If your aura’s effects require a saving throw, the DC equals 8 + your proficiency bonus + your Constitution modifier. Desert. Every enemy takes unavoidable fire damage just for getting close to you? Wade into a pack of minions for maximum effect. Don’t stand near friends. Sea. Better damage but only on one target. Lightning is rarely resisted though so that’s nice. Tundra. Keep in mind temp HP doesn’t stack which doesn’t make this as good as it might initially appear. In a melee heavy party this might get stronger. At 6th level, the storm grants you benefits even when your aura isn’t active. The benefits are based on the environment you chose for your Storm Aura. Desert: Fire damage is widely resisted, but also a very common damage type on monsters. For the same reason that the damage aura is bad, the resistance here is good. Sea: Lightning damage is rare. But a swimming speed and underwater breathing is probably the most useful of the environmental advantages. Tundra: Cold damage doesn’t come up as much as fire. The ice-cube making effects are fluffy, but you’ll struggle to find a more practical use for it. You now provide the resistance gained from storm soul to others of your choice in your aura. Desert is the real winner here, never fear a fireball again! The other damage types aren’t common enough to be as useful, though it may occasionally save your skin. At 14th level, the power of the storm you channel grows mightier, lashing out at your foes. The effect is based on the environment you chose for your Storm Aura. Desert: Better than the damaging aura, but not by much, and with the same restrictive damage type. Sea: A strong ability, potentially setting up both you and your allies with advantage. Tundra: Seems good at first glance, but the limited range of your aura (and the general flexibility of higher level monsters) make this less useful. A path to make Tempus proud! Mixing a good selection of damaging, defensive and utility options to make a very barbarian so good it’ll make you want to find religion. Divine Fury 3rd Level – This doesn’t scale greatly, but a half-smite never goes out of style. In most campaigns radiant damage is very useful. Warrior of the Gods 3rd Level – This depends on your campaign and how series death is. Also you’ll need to make sure that there’s someone with Revivify or similar nearby to help you out. 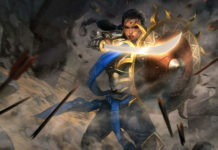 Fanatical Focus 6th Level – As a barbarian, charms and holds are more likely to take you out of a fight than raw damage. Don’t let the big bad turn you against your party or stop your rage. Boring but fantastic. Zealous Presence 10th Level – This is good for bigger parties as the advantage can go on up to 10 allies. When you consider how many attacks and saves can occur in one round, this is substantial, but it’s use is extremely limited (once per long rest). Rage beyond Death 14th Level – This is amazing. Just have a Goodberry in your pocket ready to go and you’re set. Failing that, you’ve got Warrior of the Gods to bring you back to life. The Barbarian doesn’t fill the skill monkey role all that well, but they are more than capable of offering good party support in this regard. Barbarians gain advantage on Str based checks whilst Raging, so that is also something that may be good to remember. Animal Handling: Depends on the party makeup. If this can be covered by spell casting it loses a lot of importance. Athletics: Highly desirable. Climbing alone can be a scary thing. Your natural ability here can be a boon to the party. Intimidation: Cha is unlikely to be a great stat for you, so this may fall to party makeup Remember there are ways to do a ‘Strength-based intimidation check’ so you want to be proficient in this. Nature: Whilst thematically appropriate, Int is your traditional dump stat. Acrobatics: Less important than Athletics, but still nice to have. Sleight of Hand: A fun option, though not traditionally paired with the Barbarian. Stealth: Slightly party specific, but with Dex being important to you anyway, this can open up some pretty fun options. Arcana: Not your strong suit, and somewhat atypical for a Barbarian. 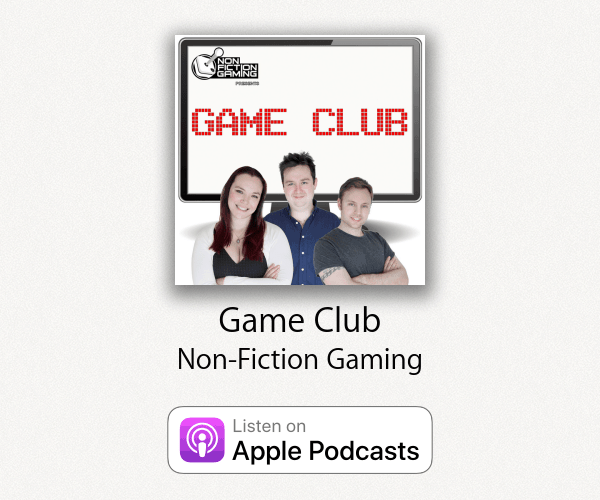 History: Doesn’t play to your strengths, but can be fun if you see your Barbarian as caring about stories and oral history. Insight: Might be thematically appropriate and is a useful tool for the party. Medicine: Made somewhat irrelevant by the Healer’s Kit. Performance: Fun roleplaying opportunities abound, and potential depth for your character. Persuasion: Why persuade when you can INTIMIDATE!!! Your background generally gives you 2 skills, maybe a language or two, maybe a tool or two, a special perk, and a small amount of goods/gold. They can help flesh out your character a bit, offer some mechanical help, and help you better define where your Barbarian is coming from. Acolyte: [insight/religion] An atypical choice that may make for an interesting backstory. Religion as a skill isn’t the greatest, but Insight is decent. The extra languages can be useful, though it is not a traditional Barbarian specialty. The perk is fun and flavourful, though possibly campaign/DM specific. Charlatan: [deception/sleight of hand] Another odd choice, but potentially fun. The two tool kits can add a really strange layer to your Barbarian. The perk can add some fun roleplaying opportunities. This takes most Barbarians out of their comfort zone, but it isn’t a bad choice. Entertainer: [acrobatics/performance] Mentally, I always think of something like the circus strongman with this combo. Acrobatics and Performance aren’t bad skills to have, but they don’t really hit the typical Barbarian. The perk does offer some fun character building opportunities. Folk Hero: [animal handling/survival] Both skills are on your class list, but the tools can be useful. It’s a fun choice from a character standpoint, but it doesn’t wow with the mechanics. Noble: [history/persuasion] Practically the opposite of a traditional Barbarian, it may take some good storytelling chops to pull this one off. The skills don’t mesh that well with you, but access to the Gaming Kit could be fun. 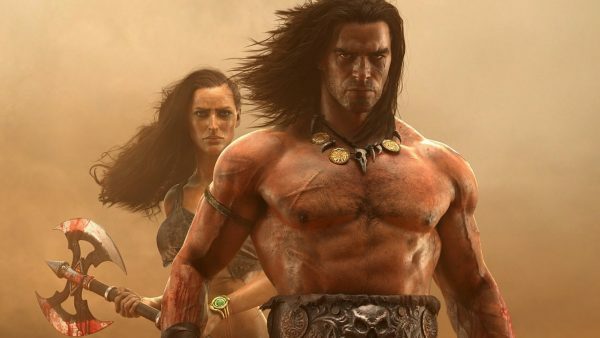 Outlander: [athletics/survival] Probably the most iconic Background for a Barbarian. The two skills are on your skill list already, but one of them is Athletics, which is great. An extra language is nice, and the musical instrument can add flavour to your character. The perk is nice, though it does step on the toes of the Survival skill a little. Sage: [arcana/history] Like the Hermit, pretty atypical for a Barbarian. The two languages are nice, but the rest is rather “meh”. Soldier: [athletics/intimidation] Some great skill potential here as well. I find the perk pretty restrictive though. It practically requires DM benevolence for it to be useful. Urchin: Who knew Urchins were this good? Stealth as a skill is great, and both Thieves Tools and the Disguise Kit are fun options. The perk is also pretty great, with tons of opportunity for it to shine in many campaigns. Alert – Always a solid choice, but slightly diminished for a Barbarian who is less impacted by a Surprise round to begin with. Athlete – Somewhat situational. The effects are great in an action/adventure style romp, but less impressive in a pure hack and slash. Actor – Flavourful, but mechanical a poor choice. Charger – Barbarians make the most out of individual Actions. This is a great way to gain extra oomph from them. Since you should be going first in combat very often, this is a way of getting to the enemy quickly and either doing damage, or arranging the battlefield. Crossbow Expert – Ranged is not your forte. Pass. Defensive Duelist – You don’t do finesse. Pass. Dual Wielder – This is either a good way for extra damage, but be careful. This is incompatible with Frenzy, can’t be done in the same turn you Rage, or used with the Wolf Totem knock down. Otherwise, it does give you the chance to do extra Rage damage, which is good. It can work with careful planning, but may not be the best use of your Bonus Action. Approach with caution. The big issue with this feat is that if you go this route, you pretty much *have* to dip into either Fighter or Ranger to get the associated Fighting Style to be competitive. If you need to multiclass away from your core class to be viable, it’s likely not a top tier choice. Dungeon Delver – Situational and you have class abilities that replicate some of the features. Flavourful, but maybe not the optimum choice. Durable – Someone better at statistics needs to figure this one out. My guestimate is that it isn’t terrible, but it also isn’t a top tier choice. Elemental Adept – Just trust me when I say no. Grappler – As the Barbarian has a very natural affinity for Grappling, this feat can be a nice boon to have. This feat gives you the ability to restrain the enemy, which can be useful and also plays well into the Risk vs Reward style of play. It can be a little situational, but it’s absolutely a fun trick to pull out when it applies. Great Weapon Master – If you plan on using a Great Weapon, there is zero reason not to take this feat. The cleave effect is really nice, but do make note that it eats up your bonus action. The second half of the feat that allows to take a penalty to hit isn’t my favourite, but I hate to have anything affect my to hit. Somebody better at math will need to figure out the specifics though. Healer – This isn’t really the Barbarian’s bag. Heavily Armored – Bad choice. Too many of your class features don’t allow for Heavy Armor. Heavy Armor Master – See above. Inspiring Leader – The Charisma investment is a little prohibitive for the typical Barbarian. Keen Mind – No particular benefit for the typical Barbarian. Lightly Armored – You already have proficiency. Linguist – There are better ways for you to learn languages. Outside of character specific reasons, this falls outside of the typical Barbarian’s zone. Lucky – This is a really nice feat if you want to improve on your tankiness. The extra rolls can really help in a pinch, and regaining them a long rest lets you tie them into your Rages pretty well. Mage Slayer – While slightly specific, this feat works well with a Barbarian, especially one that focuses on mobility. Considering how a well played caster can wreak havoc, this ability can be a life saver. Magic Initiate – You aren’t outfit well for casting. You can’t cast whilst in a Rage, and by and large outside of utility or character reasonings, you won’t get that much from this. Martial Adept – Having only one Superiority Die hurts this ability a bit. It isn’t bad, but the impact of a single die at d6 isn’t terribly significant. There are better options available. Medium Armor Mastery – Your Con is generally higher than your Dex, which may limit how useful the feat is. If you aim for the Medium armour route you may see some benefit, but your stats may line up better for the unarmored route, in which case avoid. Mobile – If you are going for the high mobility route via the Eagle Totem, this can actually play nicely into your bag of skills. This one depends on your party makeup. Mounted Combatant – Do you want to play your Barbarian as a mounted warrior? If yes, take this feat. If not, skip. Observant – Perception is so important to a group that this feat warrants a look at if your group needs a spotter. Still, others may have a more natural affinity for the role, so this will depend on what you want your character to focus on. Polearm Master – This feat gets a lot of love from those building melee characters, and for good reason. The ability to use your opportunity attack on people closing in with your is great. Just be careful how you mix it in. If you are a Berserker and gain the Retaliation ability, this feat loses some steam. Just make sure you understand what you are spending your Actions on routinely, and what you *will* be spending your actions on in the future before grabbing this feat. That being said, the Barbarian can make amazing use out of this based on the Action economy of this edition. Plan your build accordingly. Resilient – If you want to shore up your defences a bit, this is not a bad choice, but it is a sharp cost for very specific survivability. If your DM likes to toss out things like Hold Person at you on a regular basis, this becomes great. If not, it loses some oomph. Ritual Caster – You probably won’t have the Int, but you may have the Wis to gain access to this. Honestly, this falls to a character specific choice. Does it fit your concept? Then go ahead. Otherwise, you should probably avoid. Savage Attacker: Very, very good. This can turn a terrible attack into a great one. Whilst you can only use it once per turn, the more attacks you make, the more likely you will see this shining. Sentinel – This feat is amazeballs. It increases your stickiness and punishes those that try and get cute by moving around you. Combined with the Bear Totemic Attunement, you have some great attention grabbing ability. Sharpshooter – You are unlikely to used ranged attacks enough to really warrent a feat investment in them. Shield Master – A great way to increase survivability. Taking zero damage from Dex related saves is great, and since you have advantage on those saves to begin with, that’s a ton of damage you can simply avoid. If you use a shield, this feat is a great pick. Skilled – Honestly, unless you have a specific concept in mind, pass on this. There are better ways to gain access to skills. 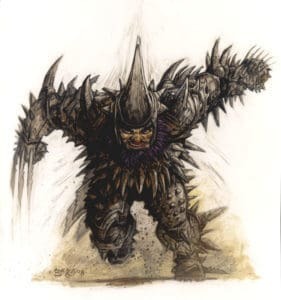 Skulker – Atypical for the run of the mill Barbarian, but if you plan on going with a stealthy one (and it’s totally viable) this fat is very nice to have. 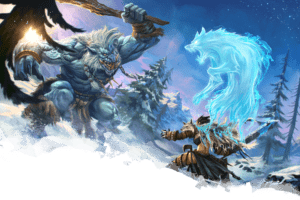 Tavern Brawler – Very cool flavour, but outside of fulfilling your character concept, you aren’t likely to see a ton of use out of this unless your DM skews the campaign in that direction, or unless you really want to invest in a Grappler. Tough – Someone better at math may want to chime in here, but I’m not sold on the value. Increasing your Con by 2 instead gives you 1 extra hit point per level, a better Con save and potentially an increase in AC. The Barbarian I think, can do better. War Caster – You are not a caster. Weapon Master – You are already proficient with every weapon in the game. I’m going to leave some of the finer points of multiclassing up to the individual though, especially anything that takes away from the character being majority Barbarian. The biggest issue for Multi-Classing with the Barbarian are the stat requirements. Whilst meeting the Str or Dex requirements are most certainly not an issue, Wis based classes are a little tough, and Int or Cha based ones are almost certainly not going to be doable. I’m not going to color grade this section simply because it falls more into the character concept side of things than true optimization. I’ll simply offer a few thoughts per class. As always, this is geared for characters that are primarily Barbarian. Meaning that is the character gets to level 20, at least 11 of those levels are Barbarian levels. Bard – The CHA investment is too high for the typical Barbarian to make. Whilst this makes for a flavourful style of character, the mechanics don’t interact all that well. Since you cannot cast spells whilst Raging, it becomes tough to really justify the experience. Still, this is a path you can consider if you want to be more of a skill monkey, or perhaps have a small selection of spells to use in instances when you aren’t Raging. 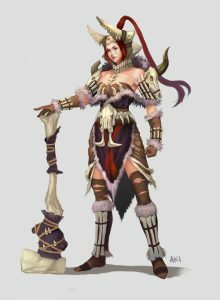 Cleric – The Wis requirement may be a little tough for some races/builds, but it should at least be doable. The biggest issue you run into is that you don’t gain as much as other classes when you go down this route. Most others are looking for Martial Weapons (which you have) or Heavy Armour (which you don’t want). That being said, the Nature Domain is pretty thematically appropriate, and while it makes you an atypical Barbarian, the Divine Strike ability at 8th level can be a fun thing to have. Druid – I’ll admit to a level of bias with this one. I love the idea of a shape shifting Bear Barbarian. A raging bear is just so much fun in my mind. Like the Cleric, the 13 Wis is a little build dependant, so it may not be the best choice. Fighter – By far the most natural choice. Even just a few Fighter levels can give you a ton of versatility in your play style. The Champion sub-class may be your more typical match thematically, but I’m a huge fan of going the Battle Master route. Having on demand abilities that cause effects and up damage are great, especially when the recharge on a short rest. Most Barbarians won’t have the Int to make it as an Eldritch Knight, though it may actually be possible to do so using only Abjuration spells. Monk – Again, the Wis could be troublesome depending on your build. The big issue with this pairing is that there is some innate incompatibility here. Martial Arts only functions with Monk weapons, which are pretty atypical for most Barbarians. You also can’t be using a Shield, which eliminates tank builds. This leaves you with either a dual wielding style build or with a Polearm Master build using a quarterstaff. The other immediate issue is that the Unarmoured Defence ability is wasted. I’m not saying that this is a bad build, just that it’s atypical and will require some outside of the box thinking to make work. 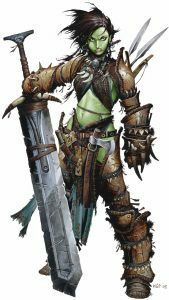 Paladin – You’d think a holy avenger Barbarian would be amazing, but the CHA investment is really rough. Rage stops spellcasting, but Divine Smite isn’t technically a spell. I like the flavor and fun of the pairing, but mechanically it just doesn’t work out. Maybe just go with a Path of the Zealot instead. Ranger – You can fit into this pairing pretty easily as well. The only real issue is that for the most part, you get a lot more out of multiclassing with the Fighter than you do with the Ranger. Still, this is a very sound fit thematically, and it’s not bad, not at all, mechanically. Part of the issue though comes from the fact that a lot of the Ranger’s “oomph” comes from spellcasting. Since you can’t do this and Rage at the same time, it is a clunky fit at best. The odd thing is that a few levels with the Hunter archetype can actually help your tanking ability. Strange, but abilities like Horde Breaker and Escape the Horde can go a long way towards your multi-enemy abilities. Rogue – This can work for a very thematic build, but the restrictions on Sneak Attack make it a tough one to mix with the typical Barbarian. Really, the money abilities that the Rogue gives you are Cunning Action, Uncanny Dodge and Evasion. All of which can really help with your tanking. The Assassin Archetype gives you some useful kits as well as the Assassinate ability, which synergizes nicely with the Barbarian. Sorcerer – The CHA requirement remains a big issue. The other problem rests in the fact that the Sorcerer relies so much on casting, and this just doesn’t mesh with Rage. It’s not an impossible mix, but you will likely face some issues when it comes to effectiveness in combat. Warlock – CHA rears its ugly head once more… Warlocks are a bit of a strange beast insomuch as it almost looks like there’s synergy, but so much really depends on using spells that it just hurts the overall effectiveness of the character. For me, this looks mostly like a quick 2 level dip for some flavour abilities, but not much more than that. Wizard – Yay! Not Cha! Boo! Int! Like the Sorcerer, the Wizard is just based so much on spellcasting that it become difficult to synergize with the Barbarian. Outside of a specific flavour build, there isn’t much to be said for the pairing. In essence, you grab a level or 2 of another class to gain some abilities/proficiency that you lack. The Barbarian, as a whole, can benefit from this, but not quite so much as other classes. Given the Barbarian aversion to heavy armour, most of the traditional dips have less value. So while other characters may grab a level of Fighter to gain Heavy Armor (taking the Fighter level at level 1), the Barbarian doesn’t get that benefit. This does give the Barbarian the benefit of not taking a level in another class first, which can really hamper your character concept. Fighter 1 or 2 levels – The benefits here are pretty straight forward. A small self heal which is nice at low level, but loses oomph as you go higher, and the Fighting Style ability. The Fighting Style ability is really, really nice. A tankier Barbarian with a shield benefits well from the Duelist ability to pop out additional damage. A Two-Weapon Fighting Barbarian gains a great deal of extra damage as you’re adding ability modifier damage (and extra rage damage) to the extra attack. The GWF related ability is also nice, and works well with bringing up the floor of your damage, but it’s a bit lower than the guaranteed damage of the other two. The others in general don’t measure up quite as nicely. If you want that third Fighter level, you have two options. If you are thinking about the crit-fishing route, the Champion Improved Critical ability is very strong. But it’s an all or nothing idea. If you aren’t going to work at crit fishing, it may not be all that. On the other hand, the Battle Master gives you some great utility abilities, as well as some increased damage when using them. Regaining your damage dice after a short rest is really nice too, as it gives you a little something between Rages. Other dips are possible, but they don’t give you the same return on investment that the Fighter dip does. The Barbarian has some odd limitations on what weapons are really effective for them. Rage requires a Str based melee weapon, so finesse weapons and ranged attacks are out. Thanks to David in the comments for pointing out Finesse weapons can be used with either STR or DEX. Great Weapon – The simplest path to high damage, but not necessarily the best. Feat synergy is pretty strong, but it is feat intensive which will impact your stats. It’s classic Barbarian though, and still a very solid choice, and pretty economical in regards to your Actions. Consider looking into the Polearm Master and Great Weapon Master feats, while also looking at Sentinel. Weapon wise, for pure damage you want to look at the Maul and Greatsword, or if you go the Polearm route the Glaive and Halberd. Two Weapon Fighting – This build *really* benefits from that 1 level dip in Fighter to get your Str damage on your off hand weapon. It also pretty much requires the Dual Wielder feat (which has a small increase in AC, which is just gravy here). This build will likely yield the most potential damage per round, you just have to be careful with your bonus actions. Remember that things like Rage take one, as do other feats and the knock down from the Wolf Totem ability. Mixing damage types will likely yield the best results, so pick 2 of Battleaxe/longsword (slashing), Morningstar (piercing), Warhammer (bludgeoning). That being said, if your concept rocks two of the same weapons for visual synergy, then go for it! Sword and Board – Increased survivability is always nice. A Barbarian with a shield makes for a nice tank. A Barbarian with a shield and the Shield Master feat makes for one of the best tanks in the game as your abilities synergies so well with it. A 1 level dip into Fighter will help bring your damage up with the Duellist Fighting Style. Preferred weapons here are the battle-axe, long sword and war hammer. Generally speaking, your stats will determine whether you should go the medium armour or the no armour route (light armour is seldom applicable). Which option works best will likely change as you level, and in direct relation to your wealth and your stats. Your Dex modifier will likely range between +1 and +3, depending on race and stat allocation, whilst your Con modifier will likely be in the +2 to +3 area. The sweet spot is AC 15-16. That’s the best you can afford in Medium armour at level 1, along with a +2 Dex mod. (If you care about sneaking, you’ll have a Chain Shirt and a base AC of 13, if you don’t you’ll have Scale Mail and a base AC of 14). When your Con + Dex modifiers together give you an AC bonus of +5 or better, you are likely better off going unarmoured. If not, then it’s medium armour city for you. This a great guide and very comprehensive compared to others I’ve seen. Helpful for a new player like me. Thanks a bunch! You know you can use Strength with finesse weapons, right? Is it just me or did you forget Triton exsisted? I was hoping to find out how this race did as a Barb but I guess I’ll look elsewhere. Hey Jasen, I’ve now added Triton and Minotaur into the guide. Regarding the Sky Blue rating of the 14th Level Bear Totemic Attunement, this only works if the creature cannot be frightened, and can see or hear you. Which means, this will not work for ~15% of the creatures in the core monster manual. I’m not saying that this makes Bear BAD, but it does make Elk (use a bonus action to deal damage and knock prone / gain advantage on next two hits it they fail a save), or Wolf (no save; auto knock prone / advantage on next hit when you hit) more worthy of consideration. Personally, I prefer Elk, as it will give you something to do each turn with your bonus action (once you’ve entered rage), which doesn’t require needing to pick up a feat. Hey, I’m DMing my first campaign soon, so I’m just getting my feet wet. I’m rolling a character of every class to understand them better, and I have a couple questions. “A TWF Barbarian gains a great deal of extra damage from the related ability as well.” It seems like 3-5 damage on the off hand wouldn’t be all that much. Could you show me the light here? I imagine with rage, and the other multipliers this becomes more significant? Lastly, when discussing multiclassing, as it seems like a good route for an optimized mid-levelish barb, you say 2 levels in fighter gets you a Martial Archetype, but other sources are telling me it’s fighter lvl 3 that provides these enhancements. Is this a recent balance change, or just a slight error? Thanks for taking time out from being galactic president to run some D&D. I’ve updated that section so it makes a little more sense. To answer your questions though. TWF Barbarian: The extra 3-5 damage PLUS rage damage (2-4) on the bonus action attack really brings up the floor of damage for a TWF Barbarian. It’s not saying taking a fighter level is a MUST for a TWF Barbarian, but it does greatly boost your damage if you’re going down the TWF path, compared to a single level in Barb. Secondly taking a martial archetype at level 2 was an error on my part. You’re correct to point out it’s at level 3, I’ve updated this. I think you’re seriously underestimating the power of the gnomes as barbarians. Barbarians should be good at Str, Dex, and Con saves, but the mental stats are typically lacking. The Gnome Cunning ability of the gnome gives them advantage on Int, Wis, and Cha saving throws against magic. 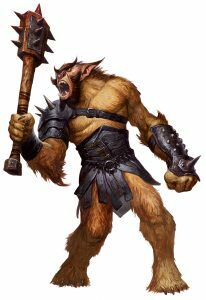 Magic has the potential to be dangerous when used on a barbarian, especially those pesky Wis saves against being mind-controlled to attack the party. Int and Cha saves are not as common, but advantage is always a great help against an Intellect Devourer or a Banishment spell. While Heavy weapons are going to be an issue, they can still dual-wield the battleaxe, longsword, and warhammer for 1d10+Str.